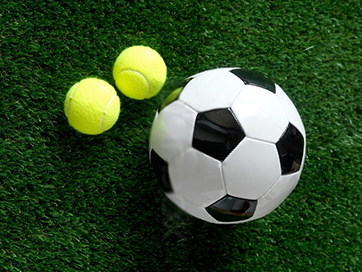 Soccer balls themselves may not be as dangerous as a fast flying baseball or golfball, but protecting the spectators around your facility is still just as important. Plus, chasing down soccer balls is never fun. 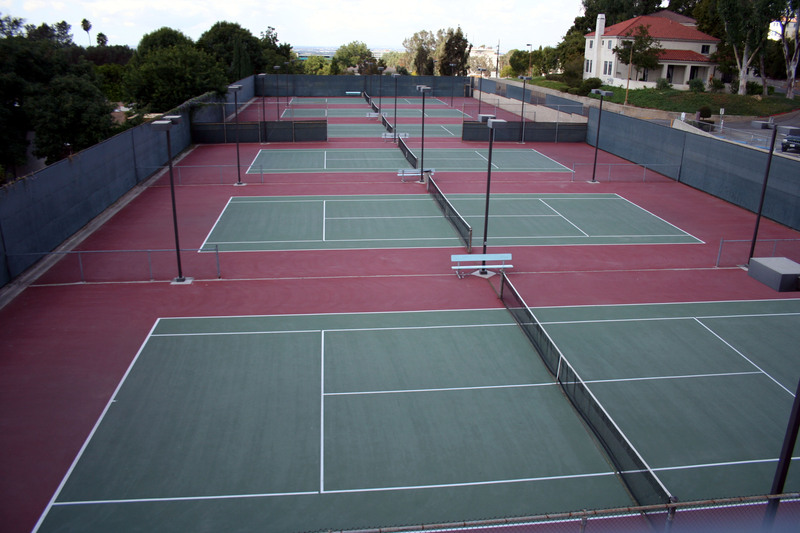 Our tennis court netting can be done multiple ways depending on your court yard areas, lighting fixtures, and what type of privacy you desire. 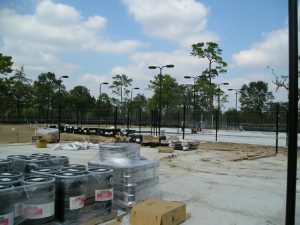 High standards make for a higher quality netting installation at your facility. We always hold ourselves and our materials to the highest standards possible. 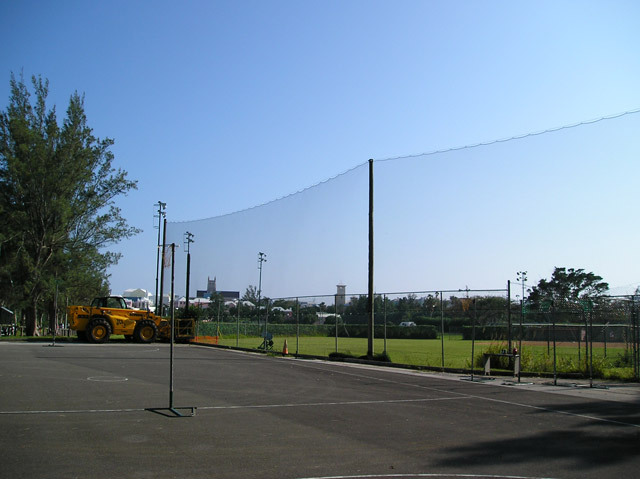 The materials that we use for every sports netting structure are certified by every power company in the United States and Canada. 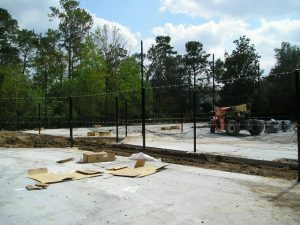 We know which materials last the longest and stand up to mother nature, giving you the best value for your investment. 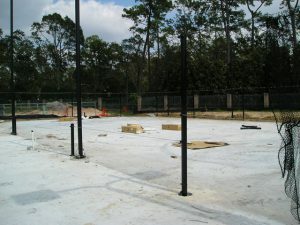 When building a tennis court or soccer field, you take the time to find the best contractor to the job. 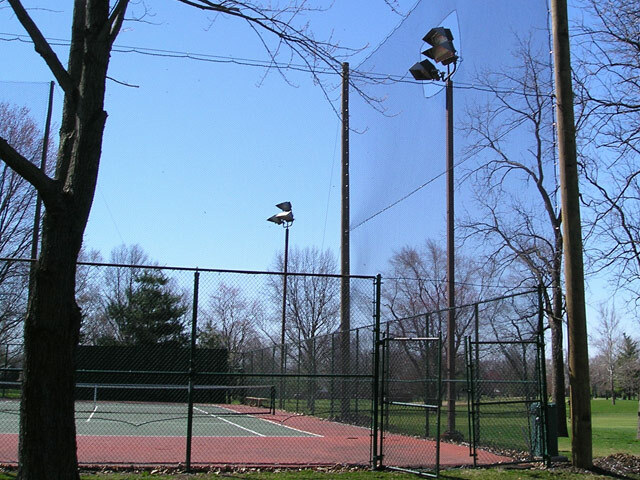 Your facility’s netting and lighting design should not be given any less attention. 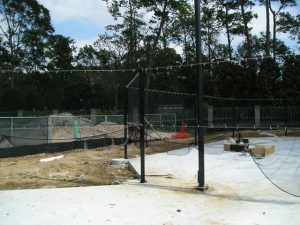 The netting structure and lighting footprint should be incorporated into your design from the very beginning so you don’t run into any surprises later. 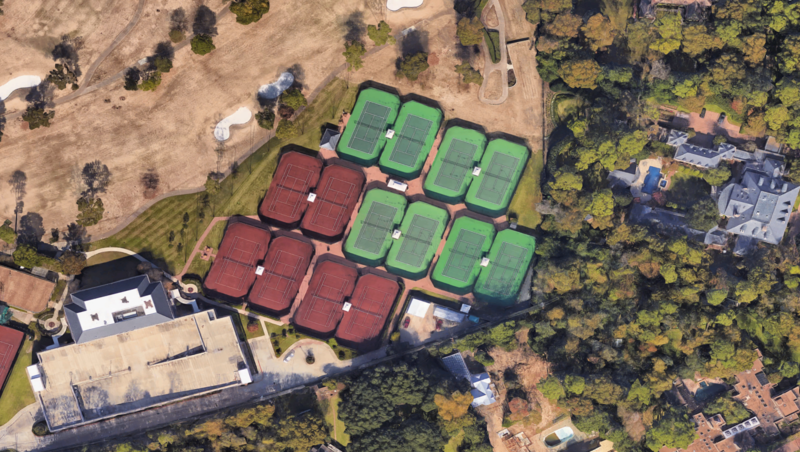 Below are some progress pictures of a tennis court build with Welch Tennis, at the prestigious River Oaks Country Club in Houston, Texas. 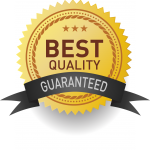 THE FIRST STEP IS TO LET OUR EXPERIENCED TEAM GUIDE YOU THROUGH THE PROCESS AND HELP YOU DETERMINE SPECIFICATIONS.